Kruger 60 is a particularly interesting binary star system in Cepheus. With a short period of only 44.7 years, you can easily see Kruger 60’s PA change about 8 degrees per year. There’s even a convenient nearby reference star that makes the change in PA obvious. Only 13 light years away, Kruger 60 is also one of Earth’s nearest neighbors. Both components are low-mass red dwarfs, but with only 0.18 solar masses, Kruger 60 B is one of the lowest mass stars known. 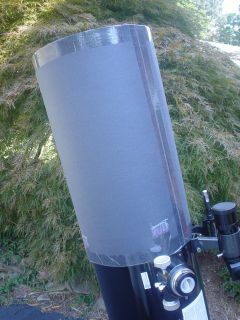 Finally, Kruger 60 B is also a flare star, irregularly doubling in brightness for periods lasting about 5 to 10 minutes. When it flares, it can match or exceed Kruger 60 A in brightness. Globular clusters generally look great even in washed-out skies. Many globulars—especially the Messier globulars—are bright enough to be relatively easy to find even in heavy light pollution. And when you use high magnification to try to resolve the globular, you also improve the contrast by darkening the background. In washed-out skies it will certainly be harder to resolve some of the globulars, and you won’t see the fainter stars so you will loose a bit of star density. But any of the major globular clusters still look spectacular. 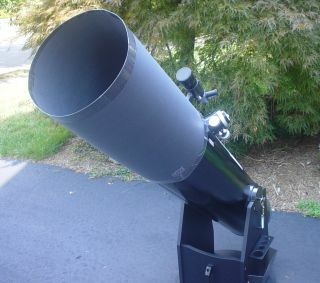 When I have guests at the telescope, I first turn the telescope to any visible planets. But the very next thing I turn the telescope to is a globular cluster: I can count on it to generate plenty of “wows” from my audience. Cygnus X-1 is almost certainly a black hole. It was discovered in 1964 as a strong X-ray source, and has ever since been the object of intense study. 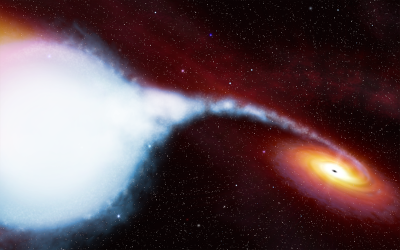 Cygnus X-1 turns out to be too compact to be any known kind of object besides a black hole. It has a mass of about 8.7 solar masses (which exceeds the theoretical maximum mass of a neutron star of about 3 solar masses), but based on how quickly its x-ray intensity fluctuates, Cygnus X-1 has to be less than about 60 km wide. Assuming Cygnus X-1 is a black hole, its event horizon is currently estimated to have a radius of about 26 km.